Our ability to appropriately steward this land is predicated on keen observation and humility in the face of what we do not understand. Herland Forest is dedicated to ever deepening our understanding of the processes that create and maintain this forest ecosystem and the processes through which a forest ecosystem can sustain a small human community. Ecosystems are a complex network of connections– an interlacing of biota (micro-organisms, flora and fauna) with abiotic factors (sunlight, rain, air and minerals) to create a system whose many functioning components often lay hidden from even the most observant. The biological, geological and chemical characteristics of Herland Forest all impact and are impacted by each other in the fascinating story that has created the forest we now inhabit and the forest that future generations will inherit. We want to be able to tell this story. From an ecological perspective, Herland Forest’s designation as a cemetery is redundant, as all forests function as burial grounds. Yet, forests also serve as a perennial wellspring of future growth and life, where the dead are continually transformed into the living. The scientific study of nutrient and biogeochemical cycles is in large part the study of the pathways, mechanisms and agents that enable the essential nutrients of life to be cycled through an ecosystem. Herland Forest embraces and encourages a multi- and inter-disciplinary approach to unfolding the detailed story of how nutrients cycle through this landscape. Herland Forest is a dedicated research forest and we are working towards establishing a network of scientists and organizations similarly intrigued by how nutrients cycle through this forest. What is the existing composition and structure of the forest (including an inventory of flora, fauna and micro-organisms)? How do these organisms and populations interact? How are they impacted by seasonal variations? What is the underlying hydrology and geology of the forest system and how does this impact how the ecosystem functions? What stewardship practices promote the health and well-being of forests of this kind? What agents are involved in the breakdown of organic matter (including human remains)? How and in what form are nutrients (including human remains) retained in the soil? What role do micro-organisms (particularly fungi) play in moisture retention and uptake by vegetation? In nutrient access and uptake by vegetation? In general forest health? How can the retention of soil moisture and biologically available nutrients be improved through natural burial practices? How does incorporating woody biomass and/or charcoal into the soil impact nutrient and water retention in soils? How does it impact root structures? Microbial and fungal communities? 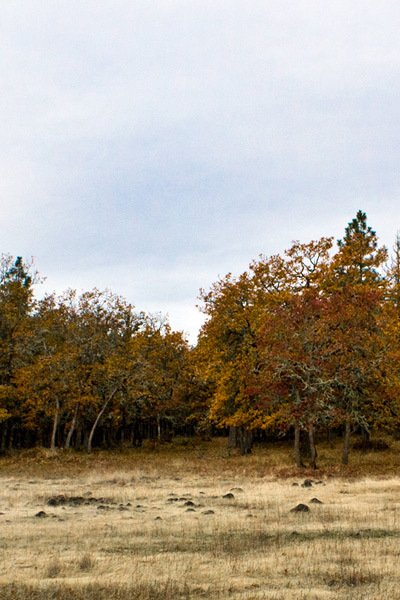 What impact does natural burial have on the productivity and diversity of the forest ecosystem? What are the pathways, mechanisms and agents through which the nutrients available in human remains are incorporated into the forest? 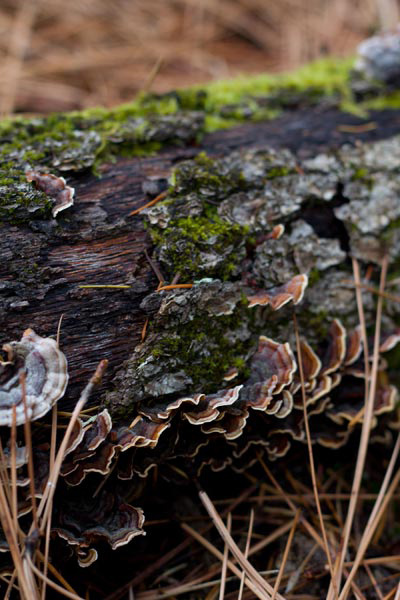 How are microbial and fungal communities impacted by natural burial? What role do they play in decomposition? What impact does tree root disturbance have on tree health and patterns of root growth? How is soil moisture retention impacted by soil disturbance, burial mounds and increased organic matter? What edible/medicinal/useful plant and fungal species/varieties thrive in our forest environment (and its many micro-climates)? What methods for sapling establishment are most successful? How does natural burial impact the rate of sapling establishment and growth? What symbiotic species (particularly fungi) can be used to increase nutrient and water absorption and uptake? Scientists interested in conducting research in Herland Forest are encouraged to Contact Us with project outlines. We are always excited to support more research. If you have expertise that could be relevant to the research in Herland Forest or are interested in developing a partnership please send us an email. Herland Forest is an outgrowth of the Windward Research and Education Center, a knowledge-sharing cooperative community. Our ongoing research will be made available through this website, presentations and other publications. The knowledge of Herland Forest will be integrated into Windwards efforts in hand-on education into sustainable systems, through internships and community workshops. In whatever ways possible, volunteers will be guided in participating with the ongoing research at Herland Forest. To find out more about volunteer opportunities Contact Herland. The unexamined death is not worth dying.